At the Kramer Law Firm, our Orlando family law attorneys handle all types of cases that affect you, your family and your children. We represent clients in any aspect needed in these areas. Divorce in Orlando is considered “uncontested” if both spouses agree on all issues of property, debt, support and custody. If one or more issues in a divorce cannot be settled, then the case is considered to be “contested.” In either case, our attorneys will make sure your rights are fully protected throughout the formal Florida divorce process. While your divorce case is pending, the Orlando family law attorneys at the Kramer Law Firm move quickly to get you the temporary relief you need for child support, use of the home, time-sharing, alimony, or protection from domestic violence. In certain situations, we can also request that the court award temporary attorney fees. Some of the best divorce help our lawyers can give you is in equitable distribution and fair division of property. To divide marital assets and debts fairly in a Florida divorce, help from experienced attorneys is essential. A method of alternative dispute resolution, divorce mediation avoids the court, often saving time and money. Our Orlando family law attorneys have been involved in thousands of cases that went to mediation. With this method, we help divorcing couples reach flexible solutions that would not be possible in a court settlement. If you are dissatisfied with your judgment of divorce, the only remedy is to appeal the judge. We will legally advise you as to whether your case merits an appeal, and provide experienced representation in the matter. Every alimony case is unique and comes with its own set of challenges. The Kramer Law Firm understands the many factors in Florida alimony the court will consider in making a determination regarding spousal support, and we know how to build and present the most compelling case on your behalf. Disputes over child custody can disrupt the lives of the families involved, especially the children. Our Orlando family law attorneys are highly committed to protecting the best interests of the children. We work closely with families in all matters of Florida child custody, visitation and parenting plans. How much should you pay? Are you getting enough child support? Can you change the amount? Find out what determines this critical part of a parenting plan, and trust only a family law firm who has full knowledge of Florida child support law. Modification means change. Your original child support and custody (time-sharing) orders may no longer be realistic or workable. When you need to modify a previously issued court order regarding your children, we are here to help. Major changes in your financial situation affect your ability to pay alimony, or your need to receive alimony. The Orlando family law attorneys at the Kramer Law Firm will help you build a strong case for modifying alimony orders. Learn which types of alimony are modifiable, and know the many factors that can powerfully affect alimony modification. Any deviation from child support payments or custody orders must be approved by the court. If your ex-spouse fails to abide by existing court orders, you are entitled to take legal action to enforce the court order. The Kramer Law Firm can help you bring or defend child support enforcement actions. Our Orlando family law attorneys represent spouses on either side of alimony enforcement in Florida divorce proceedings. We are committed to using every legal tool available to secure the alimony you are entitled to. If you are delinquent on your alimony payments, we will defend against an enforcement action, and work to have the alimony court order modified. Your may be considering moving from Orlando, or relocating outside of Florida. Perhaps your former spouse is preparing to move away with your child. Our Orlando family law attorneys can help parents seeking to relocate, as well as parents opposing any relocation. The Kramer Law Firm will assist you with drafting a prenuptial agreement that is fair and enforceable in Florida court in the event of divorce or the death of a spouse. Prenuptial agreements must comply with Florida’s statutory requirements. We also handle litigation involving prenuptial agreements. A postnuptial agreement is a marriage contract entered into after a couple is married. These agreements must comply with Florida’s statutory requirements, and can include provisions regarding separate and marital property, support obligations or both. We also represent clients in postnuptial agreement litigation. 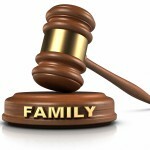 An important part of our roles as Orlando family law attorneys involve paternity actions. If you have reason to doubt the paternity of a child, a paternity test can remove any questions. We can help protect your rights and interests as a mother or father, in addition to those of the child. Domestic violence covers a wide range of abuse, including spousal abuse and child endangerment. Our Orlando family law attorneys ensure that our clients know their rights and receive the protection they need, including Domestic Violence Injunctions (temporary restraining orders.) The Kramer Law Firm also represents those who feel they have been unjustly accused of spousal or child abuse. The decision to adopt a child is one of the most exciting moments in a family’s life. Yet, the adoption process can be complex. We take great pride in helping families bring joy into their homes through adoption, and will help you navigate this process. If you have a legal family matter, do not hesitate. Call to speak with one of our Orlando family law attorneys at Kramer Law Firm.